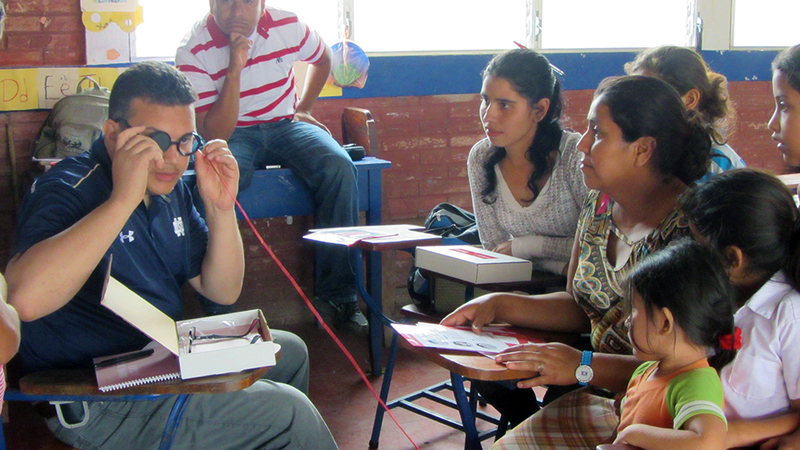 The goal of the Vista Para Todos project is to develop a vision screening kit for elementary school teachers in the developing world. The intent is (a) to educate teachers about visual impairments; (b) facilitate the identification of children dealing with or at-risk of developing an impairment; (c) streamline the referral process of at-risk children to qualified healthcare professionals for clinical treatment. In the spring of 2015, I received funding from the Institute for Scholarship in the Liberal Arts (ISLA) at the University of Notre Dame to evaluate the efficacy of the screening kit prototype. 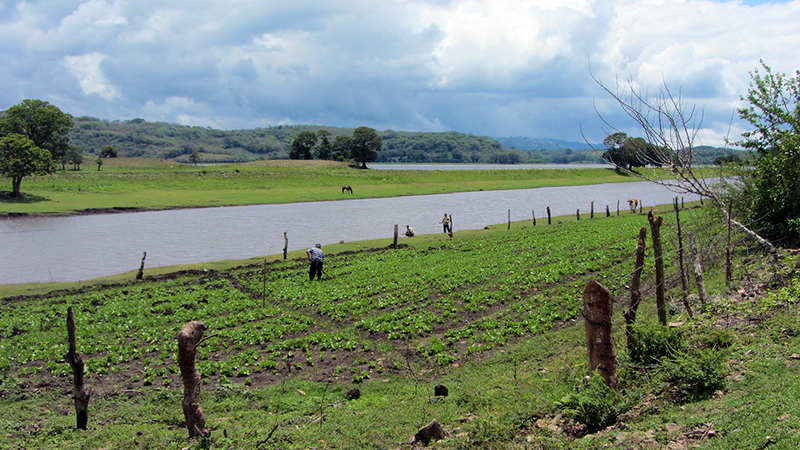 The funds allowed for the production of several kits and covered the cost of travel to and from Jinotega, Nicaragua, a city of nearly 80,000 in the northern mountainous region of the country. 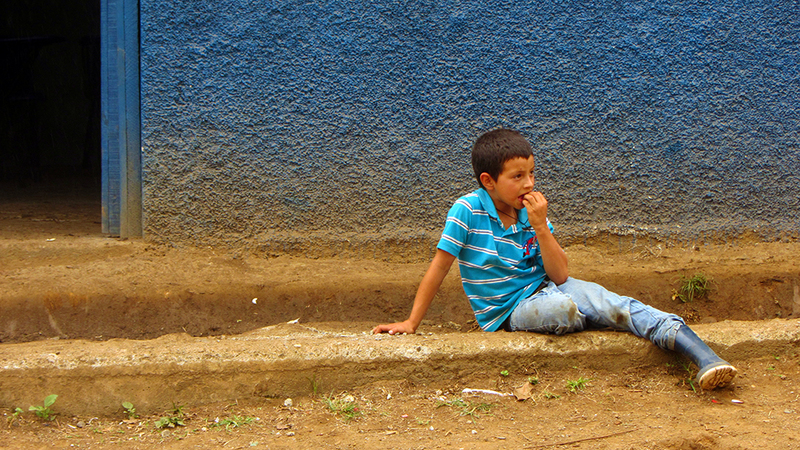 While in Jinotega, I partnered with Mision Para Cristo, a humanitarian aid organization serving the city and surrounding communities for the past 20 years. The organization granted me access to several schools in the region in order to facilitate the evaluation process and gather feedback. By leveraging these long-standing relationships, I was able to share the screening kits with teachers and administrators at seven different schools representing a wide array of socioeconomic conditions. As a result, the trip offered a number of valuable insights that have prompted further research and influenced the continued development of the project. Distance acuity cards were designed to screen children at a distance of exactly 10 feet. The Screening kit includes the following: screening cards for two of the most common visual impairments in children ages 6-10 years old, quick instructions to be used as reminders for the teachers administering the screenings, practice cards to familiarize children with the specific symbols used in each screening, a notepad for keeping track of results, and much more. (1) Child is introduced to the vision screening kit with a quick overview of all its components. (2) The vision screening begins by familiarizing the child with all the symbols on the near acuity practice card. (3) The measuring cord is used to determine the correct distance required for the near acuity screening and then again for distance acuity. (4) Child is introduced to the tumbling E symbol using practice card and the procedure for the distance acuity screening is reviewed. (5) A volunteer (off-camera) stands nearby to make sure that child uses the occluder correctly and doesn’t try to peek. (6) Child identifies as many characters as possible while responses are verified with speed grading chart. Observations and feedback during the immersion process inspired several changes to the design of the distance and near acuity screening cards. 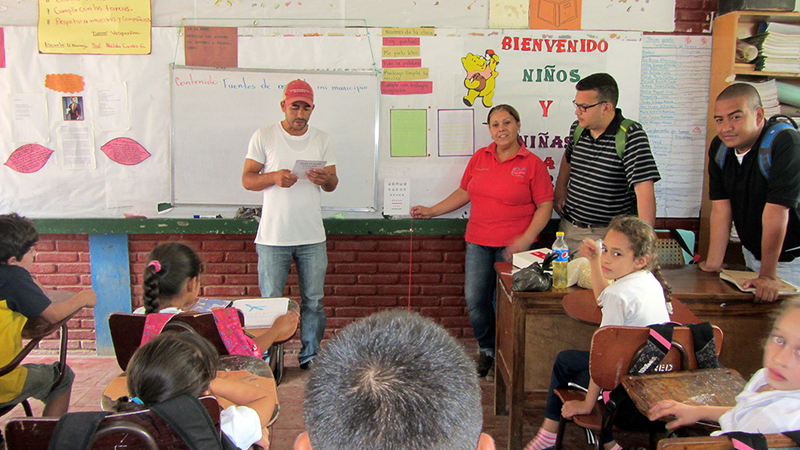 The primary motivation for the change came after the realization that the accuracy and effectiveness of the screenings would be greatly compromised if teachers decided to hold the cards instead of adhering them to an unmovable object such as a wall or table. 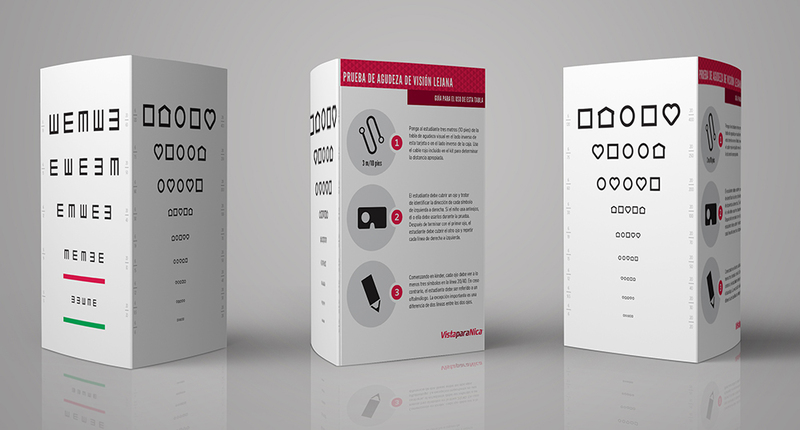 Vista Para Todos/Sight For All color blindness poster prototype. Click for more information. Early iterations of the screening kits included a poster prototype (above) designed to help identify possible color vision deficiency in students. The posters were intended as both a promotional item and practical means of identifying an impairment. 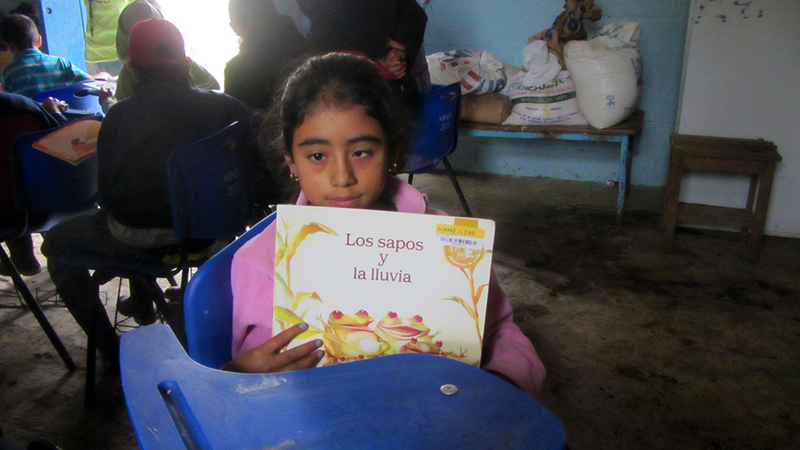 As the project progressed, a bilingual children's picture book (below) was developed to supplement the vision screening kits beyond the classroom. Both projects are still under development. Cover concept for Ojos Borrosos/Fuzzy Eyes a bilingual picture book intended to complement the vision screening kits. Click for more information.